I've had this issue for years now but seems to be getting worse. Basically out of the blue one day my computer stopped turning on normally and begun this loop of booting, lasting anywhere from 2 to 20 seconds and then shutting down and repeating. The strange thing was that if i let it do this for long enough it would always eventually turn on and work perfectly once it was running. Some days it would take a few minutes of doing this and others would take hours with me not changing anything. I have tried to fix it a few times, re-seating ram, resetting the cmos, taking out the gpu. Nothing works. It tends to beep 2x on startup almost every time, unless it dies before it has a chance which does happen sometimes. Most of the parts aren't to old, only the RAM and PSU but I don't get why if these parts had failed it would load correctly sometimes and still be getting good performance. I really have no idea what to do and could use some suggestions as I've been waiting 3 hours for it to turn on today listening to it boot up and die over and over. How do I reflash the BIOS? Depends on your mobo. Read the manual. You should be able to do it from within the BIOS. Problem is I can't access the BIOS menu, the computer always shuts down before I can get to this point. Its a gigabyte GA-Z97X by the way. If i try hitting any keys it does nothing and shuts down. 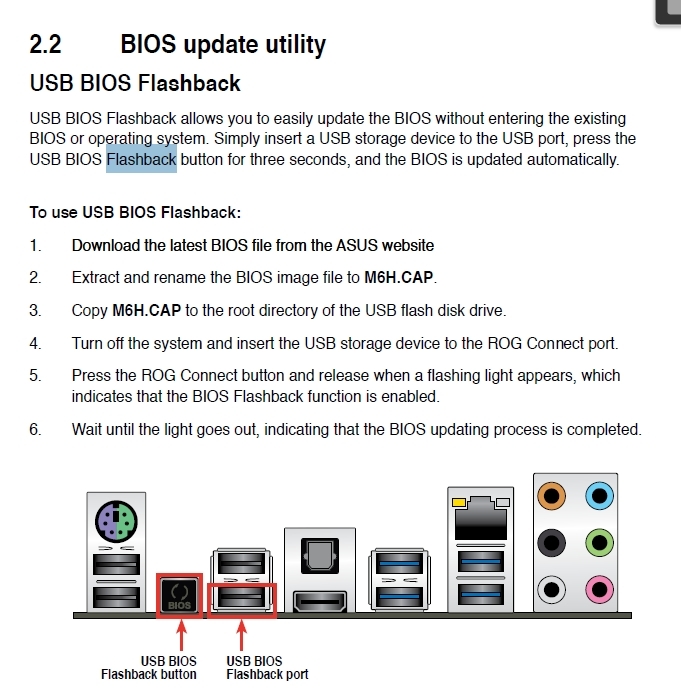 ASUS Rog motherboards like my own Maximus Vi Hero have got a feature called BIOS FLASHBACK. Through it, one can reflash the BIOS without even powering the board at all through a USB port and by using a generic usb stick. XFX Rx 580 8gb Black Edition Computer Crashes/Restarts.